The United Nations criticized the government of Ecuador on Friday for ordering the closure of a land rights advocacy group that supports an indigenous community protesting mining plans in land they claim as their ancestral home. 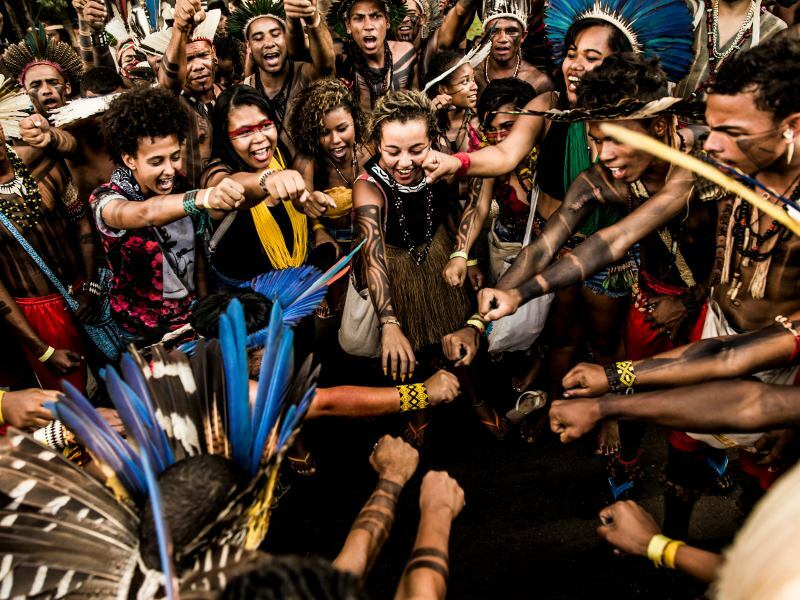 While the political climate has dramatically changed in 2016, we remain ever-committed to advancing our work in defense of the Amazon, in support of indigenous peoples rights and territories, and in growing the global movement to keep fossil fuels in the ground and build a just transition to renewables. Ecuador became an even more difficult place to be a defender of indigenous rights and the environment in recent days. 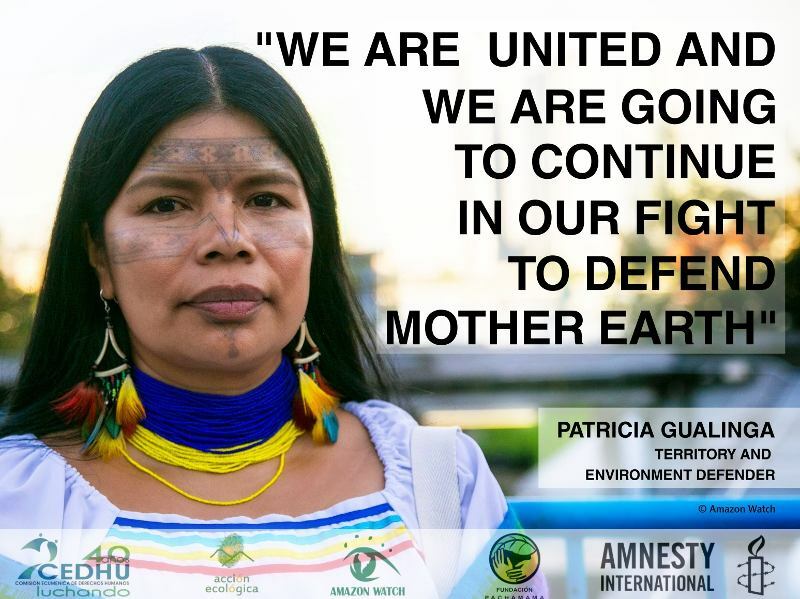 You would think a country with constitutionally-enshrined protections for Mother Nature would support and encourage indigenous and environmental rights defenders, but sadly that is not the case, and it has implications for the global climate change movement. We are grateful for the solidarity of the Ecuadorian people and indigenous peoples' organizations, human rights throughout Latin America and the world, and call on the international community to be alert and vigilant to what happens in Ecuador, especially with our sisters and brothers of Shuar Nationality whose territory, life, and survival are in danger. Brazil's conservative National Congress has rushed to pass a wave of legislative initiatives, which taken all together, would dismantle much of the nation's body of law protecting the environment and indigenous people – an effort likely to escalate in 2017. Ecuador's Environment Ministry announced yesterday its intention to shutter Acción Ecológica, the country's leading grassroots environmental organization. 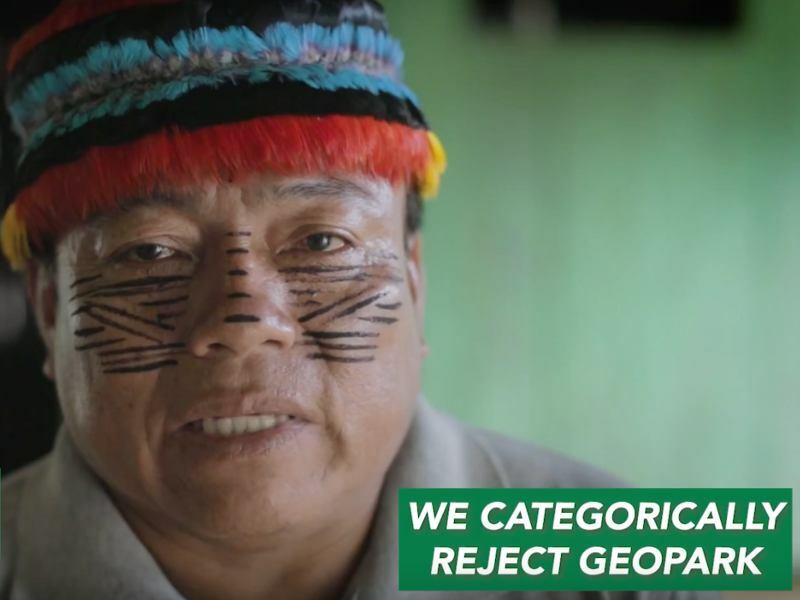 The move is a clear reprisal to the group's efforts to raise awareness about environmental and indigenous rights concerns over a planned mega-copper mine on the lands of the Shuar indigenous people in the southern Ecuadorian Amazon. Then yesterday evening the national police raided the offices of the Shuar federation, FICSH, detaining its president, Agustín Wachapa. Acción Ecológica denounces the request made to set in motion an administrative procedure that would dissolve our organization on the grounds that we have deviated from the aims for which we were constituted. "We have lived through the bad experience of damages to our habitat, health, and life as a result of activities related to the Northern Peruvian Oil Pipeline and activities of the oil company Talisman, from which there continue to be environmental liabilities, in part within our territory, that to date have not been remediated," the Achuar wrote in the statement. "Given this we have taken the firm decision to not permit any oil activity within our territory." Amazon Watch is concerned about the escalating tensions between the Shuar community of Nankints, the government, and the Chinese mining consortium EXSA (Ecuacorriente and Explorcobres).